What do you do when you're tired of buzzing around flowers all day? Why sit yourself down on a petal and take a little load off of your six legs. Put your feet up and relax. Don't worry, Bee Happy! 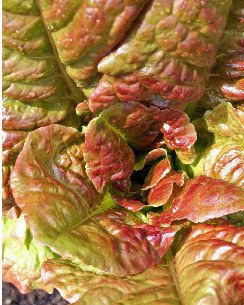 This week we've eaten the first leaves of lettuce from our garden in sandwiches and salads, and nothing is better than that. 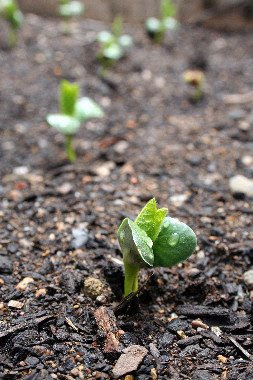 And all of our newly-planted seeds are enjoying the combination of rain and sunshine that our days have been alternating between, so everything is growing wildly in our garden beds. Each day brings a new seed sprouting, and soon it will be time to have what the kids call our "garden feast"! 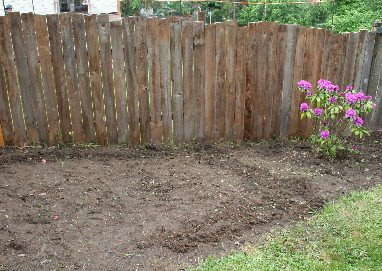 In one fell swoop, I finished weeding our new fenced garden and planted it all. Corn, cucumbers, beets, spinach, pole beans, peppers, tomatoes, basil, cilantro, melons and pumpkins - now that's an exciting menu! It's nice to have the space to do the bigger things like pumpkins that are harder in the raised beds. Can't wait to see the little sprouts... On the downside, hubby accidentally threw away my baggies of "old plant pods" (i.e. the seeds I saved from last year's beans, peas, and edameme) so I can't see how my first seed-saving project went. I'll have to try again this year and do a better job of labeling my baggy. A cop might do a double-take at our pantry as well, with several baggies full of fresh herb on the shelves. But that would be Asa's tea project. She's harvesting our spearmint, peppermint, and the lemon-balm that grows wild around here and making her own tea. It makes a very tasty cup, especially in the evening hours. My tableside book for the past couple of weeks has been Farley Mowat's And No Birds Sang. If you're not familiar with Farley Mowat's writing, you may have seen some of the movies made from his works, like Never Cry Wolf and The Snow Walker, and if you haven't read any of his books, head straight to the bookstore or library and get thy hands on a copy (or two, or three) because he's simply wonderful. Dulce et decorum est pro patria mori! Spawned in Hell long before Homer sanctified it, and goading men to madness and destruction ever since, that Old Lie has to be put down! If there must be a specific purpose to such a book as mine...let this be it. Firstly, I am beyond thrilled that author Sharon Lovejoy stopped by to visit my blog, and commented on the Sunflower House post. She has written a book called Sunflower Houses, and is the author of one of the greatest books on gardening with kids: ROOTS, SHOOTS, BUCKETS &BOOTS. We've enjoyed this book as a family, and it contains all kinds of fun and whimsical gardening projects to do with your kids. It looks like she has a whole lot of other great books out that I'll need to check out as well! Also check out The Great Sunflower Project, which will send you free sunflower seeds in return for your help in counting bees. 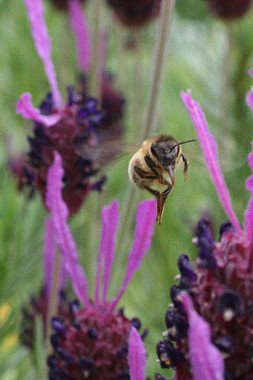 Since bees are not only important pollinators but also struggling right now with various environmental interferences and the Colony Collapse Disorder, anything we can do to help them out (like planting beneficial flowers and tracking them) is a good thing. We've already signed up and gotten our bee-observer data sheets. 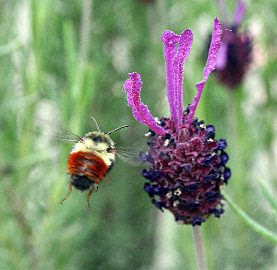 The kids are excited to be helping keep an eye on our little pollinating friends. I also got a couple packages of Territorial Seed's Honey Bee Flower Mix seeds and I'm planting those all around the outside of our new vegetable garden space in the hopes of attracting even more bees to our garden area. I was happy to note that my lavender is being visited regularly by good numbers of honeybees and these cute orange-bottomed bumblebees. We used to have a beekeeper in our neighborhood and once we saw a whole swarm that had left his hive come over our house. I figure they settled somewhere in the woods near us, so we probably have a good concentration of honeybees in the area, for which I'm very grateful! I've always wanted to build a sunflower house with the kids, but with so little flat land in our yard (actually no flat land whatsoever), it hasn't seemed very feasible. But this year we cleared out this little area way up in the corner of our yard and it's pretty flat up there, so I marked out an area and we planted a sunflower house! You can find instructions to make one at several places on the internet, but here's one article. We decided to alternate taller and shorter varieties of sunflower, with the tall ones being the kind with good eating seeds, and the shorter ones being the pretty crimson ones. We planted vining sweet peas around the edges, and we can make trellises out of string across the top for a roof if they climb high enough up the sunflowers. I'll hopefully have more photos to share as it grows! I also spent most of today getting that entire new garden spot trowelled into rows and mounds and planted pole beans, tomatoes, chard, beets, pumpkins, melons, and a small herb garden there! All of the seeds we planted in the back in the last week or so are sprouting already, so I can't wait for the new front garden to take root as well! We ate our first salad from our garden tonight, since one of the lettuces survived being uprooted by the cats and is quite large and lovely. Yummm! 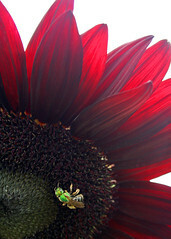 Here's to a summer of even more fresh veggies, and a shady sunflower house to enjoy them in. My hubby fenced off this great new garden space up front. We've had the raised beds in the backyard since he built them last year, and they gave us a great veggie garden last summer. But this new space will be easier to do the big stuff in, like corn, pumpkins, cucumbers, melons, etc. 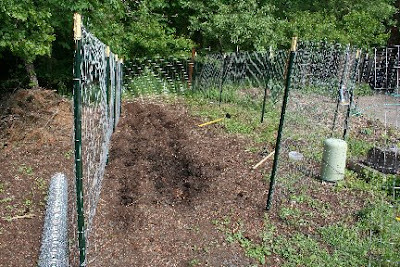 I just planted the first row - pole beans along the fence so they can climb. Exciting! Though it was approximately a million and one degrees outside, Miss Asa and I went doorknocking for Obama the other evening. Now this is something I've never done in my adult life. I guess there hasn't been a candidate in recent memory that I was all that excited about. The Democrats have been so wishy-washy in my lifetime (except for Carter, who I wholeheartedly loved, but I was ten at the time, and Gore who didn't grow his cojones until after the election was over) that I just couldn't muster up the energy to go out and canvas for them. But Mr. Obama is different and we were excited to go and help get out the vote, make sure people have turned in their ballots and help this election go along. We're all excited to see how things go today. I don't think there's any doubt that Obama will lead here in our town (at least not judging by the unofficial lawn sign pool), but of course we're all still crossing our fingers about the rest of his Democratic nomination journey. Once again, it's time for the Ride of Silence, at 7:00 pm on May 21 in many cities and towns around the world. This is a great way to take part in both remembering those cyclists who have been killed or injured by motorists, and to raise awareness of cycling in a very respectful way. Last year's ride here in our town was very moving. Many of the cyclists here rode with signs or t-shirts remembering friends and loved ones killed on bicycles. On May 21, 2008, at 7:00 PM, the Ride of Silence? will begin in North America and roll across the globe. 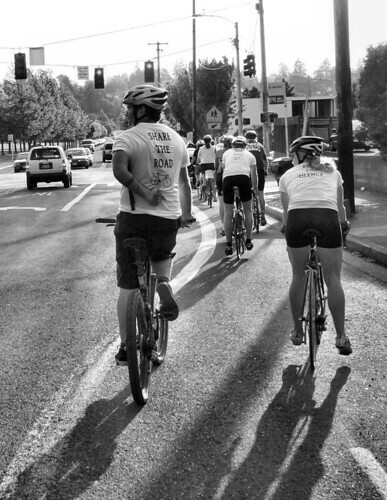 Cyclists will take to the roads in a silent procession to honor cyclists who have been killed or injured while cycling on public roadways. Although cyclists have a legal right to share the road with motorists, the motoring public often isn't aware of these rights, and sometimes not aware of the cyclists themselves. The Ride Of Silence is a free ride that asks its cyclists to ride no faster than 12 mph and remain silent during the ride. There is no brochure, no sponsors, no registration fees and no t-shirt. The ride, which is held during Bike Safety month, aims to raise the awareness of motorists, police and city officials that cyclists have a legal right to the public roadways. The ride is also a chance to show respect for those who have been killed or injured. The Best Kind of Traffic Jam. So the other day I got caught in a traffic jam.... at the doorway of my local bike shop. There were so many bikes going in and out that I just had to stand there for a minute and wait. How's that for a silver lining to the whole oil crisis??? Finally, our bike stores will be doing the kind of business they could only dream about years ago as they were getting edged out all across America. The bike shop guys said they've been just crazy busy for the last few weeks, with people walking in left and right to buy commuter bicycles. Yeah! And both in real life and online in internet communities, I keep hearing about all the changes people are making in their driving habits. From sticking their kids on the school bus to running all of their errands on one day of the week to walking to the grocery store, it appears that almost $4.00 a gallon was the magic number to get people to actually change their habits. It does leave me scratching my head a bit as to why these things couldn't have been changed before we got into a crisis situation. I wonder what it is that makes people resistant to change for the good of all, but accepting of it when it comes to their own personal agendas. If you could figure that one out, the environmental movement could sure use to bottle it. But since I'd like to feel optimistic about something right now, it's that change is finally happening. Here's to the snowball effect! So what if I had a machine I could market. Say you have a garden plot. My magic machine weeds it, then tills it up, then fertilizes it. It doesn't use fossil fuels, is economical, and as a by-product it produces.... eggs! Hubby fenced off our new garden plot yesterday and we've been putting the chickens in there every afternoon. They go to town eating the weeds, scratching it all up and fertilizing like crazy. I can't wait to start planting! By the way, the only thing funnier than running around trying to round up your chickens to get them into the darned garden plot (my wonderful plan of throwing food scraps in there didn't work because the dingbats just walked around outside the fence, ignoring the enormous entrance by which they could get access to the food scraps!) 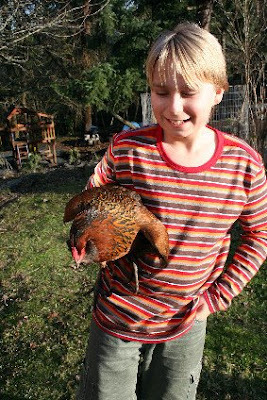 is watching your kid carrying a chicken under each arm! These gals are way too tame. Without any undue commentary, I wanted to post the words of another politician from many years ago who had the temerity and the foresight to ask our nation to conserve, to use our resources wisely, to invest in the infrastructure for public transit and alternative energies. Let's hope Mr. Obama doesn't suffer the same fate that Jimmy Carter did, a president of integrity and action whose career as president was way too short. Our decision about energy will test the character of the American people and the ability of the President and the Congress to govern. This difficult effort will be the "moral equivalent of war" -- except that we will be uniting our efforts to build and not destroy. I know that some of you may doubt that we face real energy shortages. The 1973 gasoline lines are gone, and our homes are warm again. But our energy problem is worse tonight than it was in 1973 or a few weeks ago in the dead of winter. It is worse because more waste has occurred, and more time has passed by without our planning for the future. And it will get worse every day until we act. The world now uses about 60 million barrels of oil a day and demand increases each year about 5 percent. This means that just to stay even we need the production of a new Texas every year, an Alaskan North Slope every nine months, or a new Saudi Arabia every three years. Obviously, this cannot continue. We must look back in history to understand our energy problem. Twice in the last several hundred years there has been a transition in the way people use energy. The first was about 200 years ago, away from wood -- which had provided about 90 percent of all fuel -- to coal, which was more efficient. This change became the basis of the Industrial Revolution. The second change took place in this century, with the growing use of oil and natural gas. They were more convenient and cheaper than coal, and the supply seemed to be almost without limit. They made possible the age of automobile and airplane travel. Nearly everyone who is alive today grew up during this age and we have never known anything different. Because we are now running out of gas and oil, we must prepare quickly for a third change, to strict conservation and to the use of coal and permanent renewable energy sources, like solar power. The world has not prepared for the future. During the 1950s, people used twice as much oil as during the 1940s. During the 1960s, we used twice as much as during the 1950s. And in each of those decades, more oil was consumed than in all of mankind's previous history. World consumption of oil is still going up. If it were possible to keep it rising during the 1970s and 1980s by 5 percent a year as it has in the past, we could use up all the proven reserves of oil in the entire world by the end of the next decade. I know that many of you have suspected that some supplies of oil and gas are being withheld. You may be right, but suspicions about oil companies cannot change the fact that we are running out of petroleum. All of us have heard about the large oil fields on Alaska's North Slope. In a few years when the North Slope is producing fully, its total output will be just about equal to two years' increase in our nation's energy demand. But we do have a choice about how we will spend the next few years. Each American uses the energy equivalent of 60 barrels of oil per person each year. Ours is the most wasteful nation on earth. We waste more energy than we import. With about the same standard of living, we use twice as much energy per person as do other countries like Germany, Japan and Sweden. One choice is to continue doing what we have been doing before. We can drift along for a few more years. Our consumption of oil would keep going up every year. Our cars would continue to be too large and inefficient. Three-quarters of them would continue to carry only one person -- the driver -- while our public transportation system continues to decline. We can delay insulating our houses, and they will continue to lose about 50 percent of their heat in waste. We can continue using scarce oil and natural to generate electricity, and continue wasting two-thirds of their fuel value in the process. If we do not act, then by 1985 we will be using 33 percent more energy than we do today. We can't substantially increase our domestic production, so we would need to import twice as much oil as we do now. Supplies will be uncertain. The cost will keep going up. Six years ago, we paid $3.7 billion for imported oil. Last year we spent $37 billion -- nearly ten times as much -- and this year we may spend over $45 billion. Unless we act, we will spend more than $550 billion for imported oil by 1985 -- more than $2,500 a year for every man, woman, and child in America. Along with that money we will continue losing American jobs and becoming increasingly vulnerable to supply interruptions. Now we have a choice. But if we wait, we will live in fear of embargoes. We could endanger our freedom as a sovereign nation to act in foreign affairs. Within ten years we would not be able to import enough oil -- from any country, at any acceptable price. If we wait, and do not act, then our factories will not be able to keep our people on the job with reduced supplies of fuel. Too few of our utilities will have switched to coal, our most abundant energy source. We will not be ready to keep our transportation system running with smaller, more efficient cars and a better network of buses, trains and public transportation. We will feel mounting pressure to plunder the environment. We will have a crash program to build more nuclear plants, strip-mine and burn more coal, and drill more offshore wells than we will need if we begin to conserve now. Inflation will soar, production will go down, people will lose their jobs. Intense competition will build up among nations and among the different regions within our own country. If we fail to act soon, we will face an economic, social and political crisis that will threaten our free institutions. But we still have another choice. We can begin to prepare right now. We can decide to act while there is time. That is the concept of the energy policy we will present on Wednesday. Our national energy plan is based on ten fundamental principles. The third principle is that we must protect the environment. Our energy problems have the same cause as our environmental problems -- wasteful use of resources. Conservation helps us solve both at once. The ninth principle is that we must conserve the fuels that are scarcest and make the most of those that are more plentiful. We can't continue to use oil and gas for 75 percent of our consumption when they make up seven percent of our domestic reserves. We need to shift to plentiful coal while taking care to protect the environment, and to apply stricter safety standards to nuclear energy. --Reduce the annual growth rate in our energy demand to less than two percent. --Reduce gasoline consumption by ten percent below its current level. --Cut in half the portion of United States oil which is imported, from a potential level of 16 million barrels to six million barrels a day. --Establish a strategic petroleum reserve of one billion barrels, more than six months' supply. --Increase our coal production by about two thirds to more than 1 billion tons a year. --Insulate 90 percent of American homes and all new buildings. --Use solar energy in more than two and one-half million houses. We have been proud of our leadership in the world. Now we have a chance again to give the world a positive example. And we have been proud of our vision of the future. We have always wanted to give our children and grandchildren a world richer in possibilities than we've had. They are the ones we must provide for now. They are the ones who will suffer most if we don't act. I've given you some of the principles of the plan. I am sure each of you will find something you don't like about the specifics of our proposal. It will demand that we make sacrifices and changes in our lives. To some degree, the sacrifices will be painful -- but so is any meaningful sacrifice. It will lead to some higher costs, and to some greater inconveniences for everyone. But the sacrifices will be gradual, realistic and necessary. Above all, they will be fair. No one will gain an unfair advantage through this plan. No one will be asked to bear an unfair burden. We will monitor the accuracy of data from the oil and natural gas companies, so that we will know their true production, supplies, reserves, and profits. The citizens who insist on driving large, unnecessarily powerful cars must expect to pay more for that luxury. We can be sure that all the special interest groups in the country will attack the part of this plan that affects them directly. They will say that sacrifice is fine, as long as other people do it, but that their sacrifice is unreasonable, or unfair, or harmful to the country. If they succeed, then the burden on the ordinary citizen, who is not organized into an interest group, would be crushing. There should be only one test for this program: whether it will help our country. Other generation of Americans have faced and mastered great challenges. I have faith that meeting this challenge will make our own lives even richer. If you will join me so that we can work together with patriotism and courage, we will again prove that our great nation can lead the world into an age of peace, independence and freedom. As a politician, the hardest thing in the world must be telling people what they don't want to hear. That's the only logical reasoning I can think of at all for Senator Clinton to be calling for a gas tax "holiday" to help people continue driving more miles over the summer. Or as she puts it "I'm the only candidate who will provide immediate relief at the pump, with a plan." The kinds of plans I'd like to see do not include cutting gas prices to give consumers an illusory ability to continue our current transportation debacle. Hey, here's a neat idea... how about we invest those gas taxes on something useful, like say Mass Transit??? Something that would actually really benefit all of those low-income folks when the price of gas inevitably continues to climb and they're all left with no way to get to work whatsoever?? We need "immediate relief at the pump" in this country like we need a hole in the head. When is it going to sink in that high gas prices are the new normal? ?People are going to have to stop driving, fuel is running out. Peak oil has come and gone and gas prices are never going to go back down, not ever. I think the best possible thing that could happen right now is for gas prices to stay high and people to start getting a clue that this is it and start adjusting their behavior accordingly. Driving less, spending less at big stores, it's all going to happen all across this country and it's what should happen and needs to happen. We don't need to stimulate an economy that is going to fail anyways because it is based on the false principle that infinite growth can occur in a system with finite resource. We will need to reinvent ourselves as a non-growth based economy and the sooner we start envisioning that, the better. Is it going to be painful, you betcha. For some people much more than for others but every single person is going to feel it. It's the unfortunate end result of our delusional policies of the last couple centuries. All of which is why I respect Barack Obama even more, for calling it like it is. For calling it like it is, in a hotly contested election year, no less. How many politicians would have the cojones to do something like that? To say, as he did, "The easiest thing in the world for a politician to do is tell you exactly what you want to hear." People want to hear that gas prices will go down, that this is a temporary thing, that their government can somehow fix it. It's just not fixable. One reason I am voting for Obama is my belief that in the very hard times to come, he will be a person of integrity who will call on Americans to do the things we need to do in order to help save our country and our world. He has already uttered the "C" word - Conserve - and I would love to see a leader in the White House who will bring back the notion that it is patriotic to conserve our resources, not spend them with wanton disregard to their future utility.